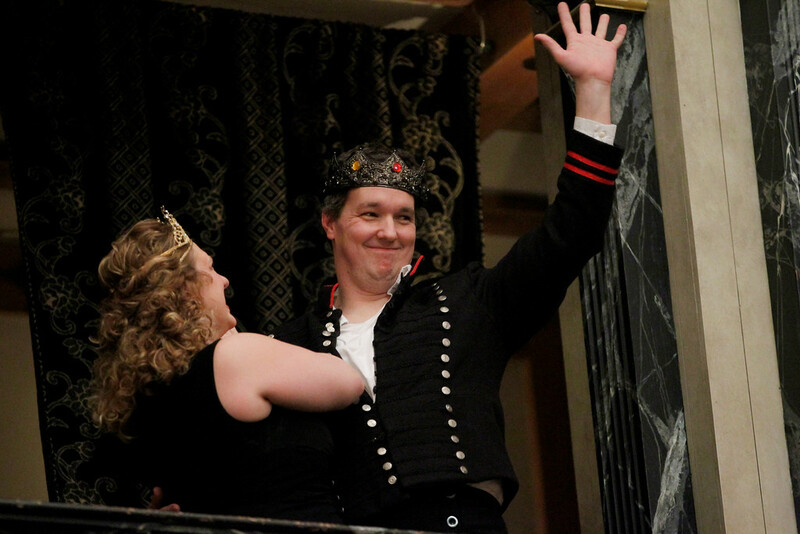 Allison Glenzer and John Harrell in RICHARD III. 2012. 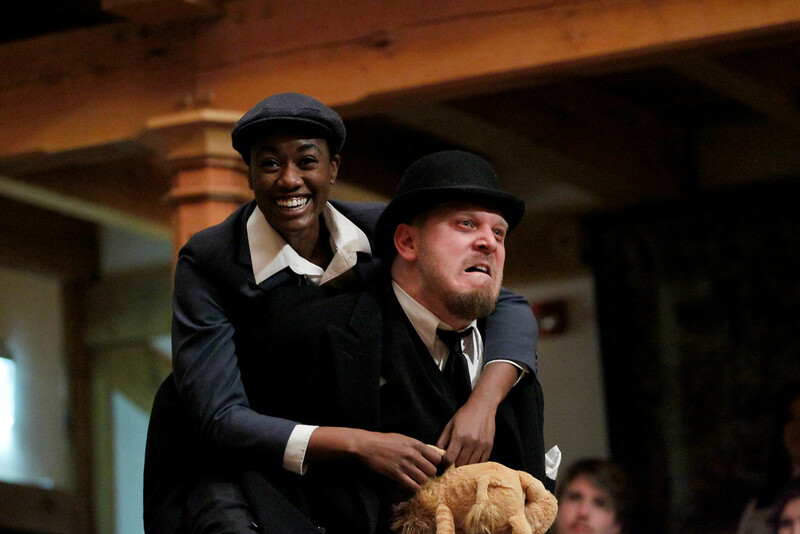 Brandi Rhome and Benjamin Curns in RICHARD III. 2012. Aidan O'Reilly in RICHARD III. 2012. Sarah Fallon in RICHARD III. 2012. 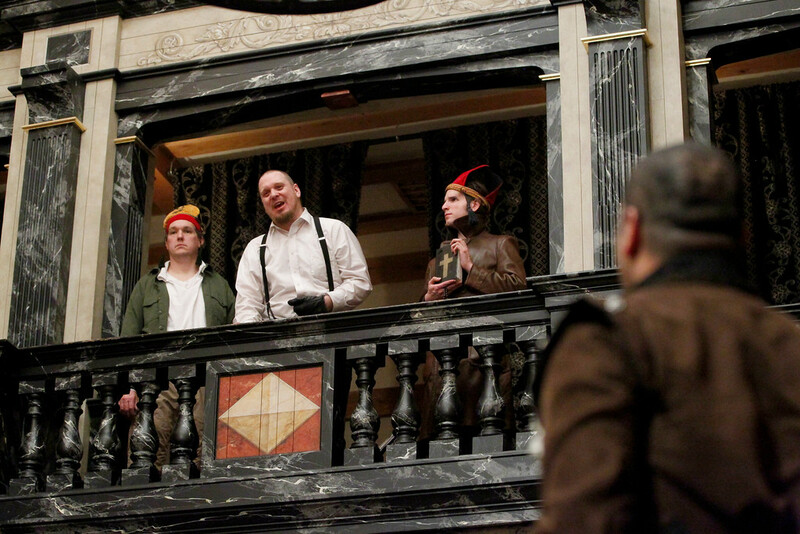 Daniel Kennedy, René Thornton, Jr., Jeremy West, and Allison Glenzer in RICHARD III. 2012. 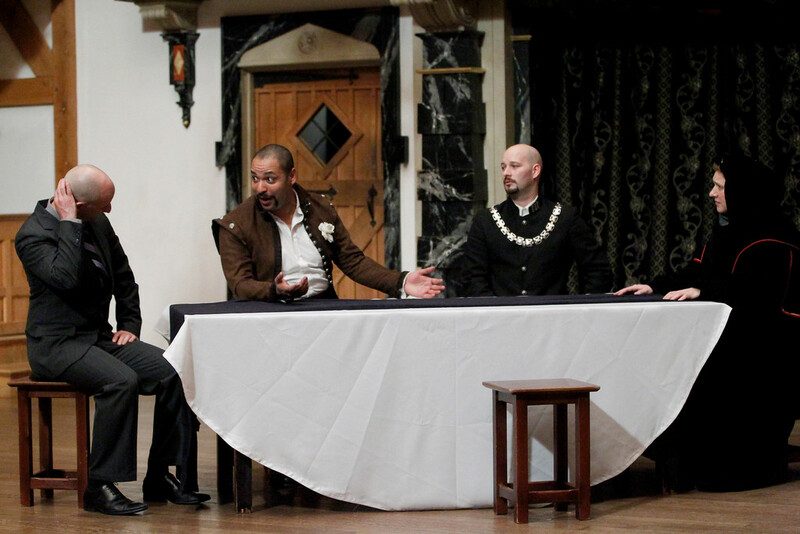 John Harrell, Benjamin Curns, Aidan O'Reilly, and René Thornton, Jr. in RICHARD III. 2012. 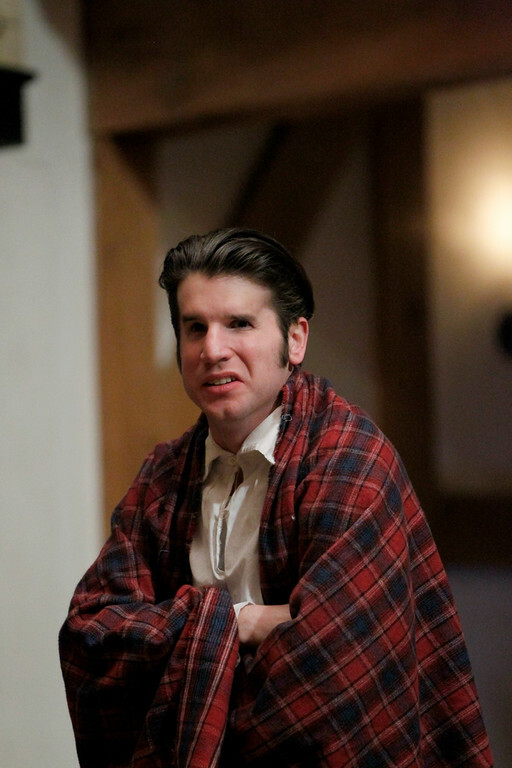 Benjamin Curns in RICHARD III. 2012. 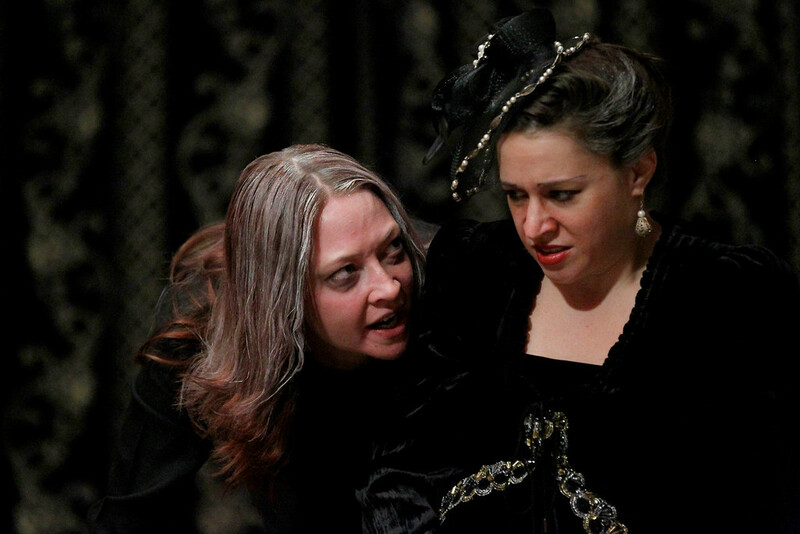 Sarah Fallon and Miriam Donald in RICHARD III. 2012. 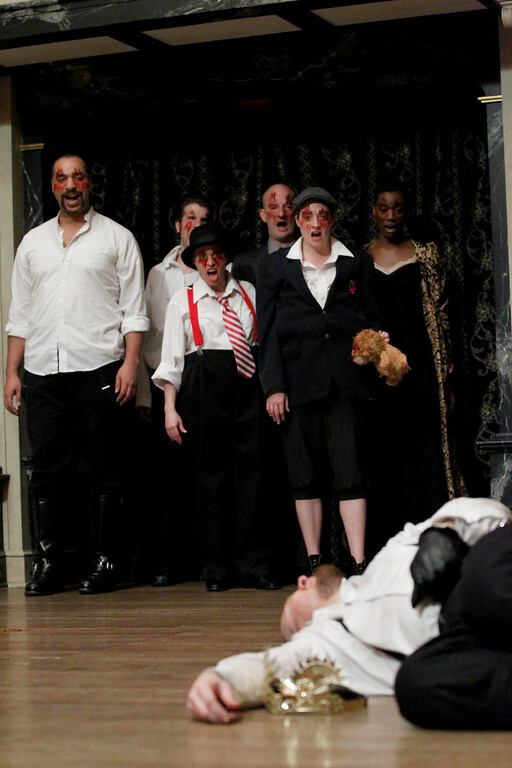 The cast of RICHARD III. 2012. Henry VI, Parts 1-3: The Wars of the Roses. The House of York (the white rose), led by Edward Plantagenet, overthrows the House of Lancaster and King Henry VI (the red rose). Edward Plantagenet becomes King Edward IV of England. Richard arranges for the arrest of his brother George (the Duke of Clarence); Richard tries to turn George against their other brother, King Edward IV, by telling him that Edward’s wife (Elizabeth) ordered his arrest. Richard interrupts the funeral procession of King Henry VI to woo Lady Anne. Although he murdered Henry (Anne’s father-in-law) and Prince Edward (her husband), Richard tells Anne that he did it out of love for her. Anne accepts Richard’s ring. Richard has assassins kill George; he then goes to visit King Edward IV, who is near death. The King appeals to Elizabeth and Richard for peace, and they say they agree. Edward dies believing himself responsible for his brother George’s death. 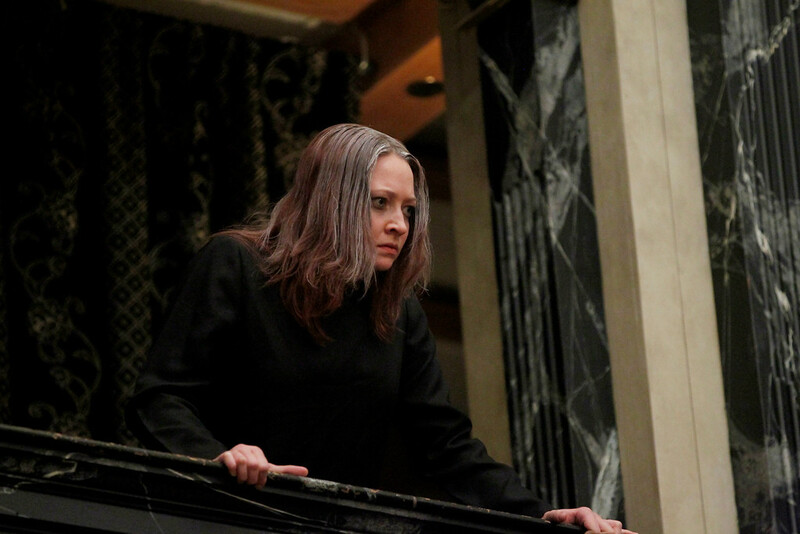 Richard has Elizabeth’s relatives Rivers and Grey imprisoned. Richard has dead King Edward’s sons “housed” in the Tower to await the coronation of Prince Edward. Richard and Buckingham stage a scene in which London citizens “persuade” Richard to accept the crown. Richard (now King Richard III) wishes death on the princes; Buckingham pauses to consider his response. More deceit, bloodshed, battle, and the emergence of England’s hope ensue. At the Theatre, James Burbage’s outdoor playhouse north of the city wall. It comes near the beginning of his career and follows the three Henry VI plays (“which oft our stage hath shown”) as the final play of the first history tetralogy. Judging from the five editions of the play that appeared in his lifetime and the fact that the company’s star, Richard Burbage, was linked to the role for the reset of his career, we may suppose Richard III to be Shakespeare’s first blockbuster. Like the Henry VI plays before it (and Marlowe’s Tamburlaine the Great, which so influenced it), the play is packed with action, overtly drawn characters, flamboyantly decorative verse, and strong dramatic irony. Whereas the central figure (the audience’s avatar) shifts from character to character in the three Henry VI plays that came before; in this play, a single, unmistakable, unforgettable character has our attention – Richard. They think it is wonderful, as in “full of wonders,” and they recognize its remarkable theatrical appeal. They also see the distance Shakespeare traveled from this early study of an ambitious murderer to Macbeth. Yes: not literary or theatrical controversy but historical. 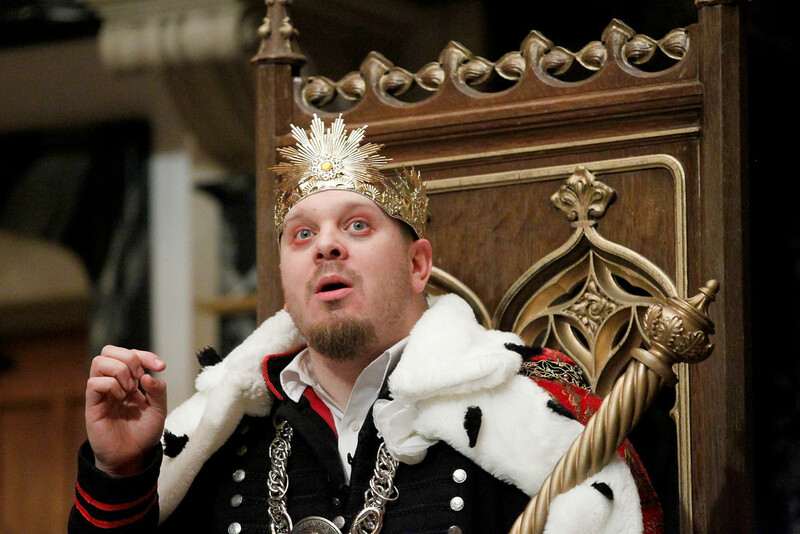 This play is the culmination of almost a century of Tudor propaganda that demonizes Richard as a way of justifying the reign of Henry VII, who took his throne and who was the grandfather of Elizabeth I, under whose watchful eye Shakespeare was writing. Was the real Richard a monster? No more than most despots. Did he kill the princes in the tower? Probably, but if you want a good read to the contrary, get hold of Josephine Tey’s wonderful The Daughter of Time. You won’t need to look for him; he’ll find you. Richard, Duke of Gloucester, later King Richard III, is a role that has made stars of actors from Richard Burbage to Ian McKellen. The two scenes in which Richard woos ladies – one to be his wife (1.2) and one to be his mother-in-law (4.4) – are pay-per-view worthy bouts of language that work as bookends for the play. The murder of Clarence, the games with Hastings’s head, Richard’s coronation – all these are good family fun.